This article from Dogs Naturally Magazine (check them out) explains that seaweeds are the best green foods for dogs as, besides being super nutrient dense, their cells are not surrounded by cellulose which is difficult for dogs to digest. They are thought to boost the immune system, promote longevity and may help in reducing cancer. Natural health guru, Dr Edward Group, shares 8 health issues to keep in mind with regard to iodine deficiency in dogs. 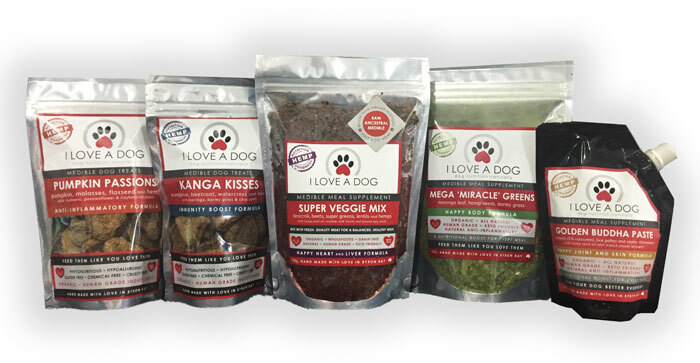 He notes seaweed has an abundance of naturally occurring iodine making it a great way to boost your dog’s nutrition, and the 48% reduction in dog cancer since 1982 when iodine was introduced in commercial dog foods. This paper discusses iodine intake requirements for humans, dogs and cats. It notes that dietary iodine is around >90% bioavailable compared to synthetic supplements, which are variable. It concludes that “Chronic iodine excess or deficiency may result in clinical disease” and that intake should be consistent. It’s complex! Studies are showing that stressful dog life events can deplete dogs of their innate supply of Vitamin C and they can benefit from VitC supplementation. Experiments trialling Vitamin C therapy in life threatening health issues, such as parvo virus, are often having great and surprising success. Vitamin C is a vitalising winner for dogs. In 2015 a study found vitamin C can kill tumour cells that carry a common cancer-causing mutation – in mice. In fact, many studies are investigating the therapeutic potential of Vitamin C, especially as a potential cancer treatment. This article explains various study outcomes and how intravenous dosing is seemingly most effective. High dose vitamin C therapies are increasingly reporting positive results in cases previously deemed as ‘no hope’, especially with some cancer cases. 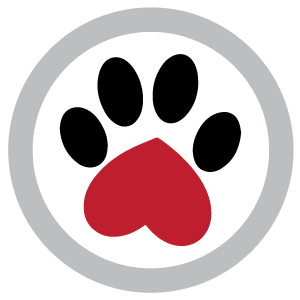 This article, written by a practicing vet, conveys results from his trials in high dose vitC in dogs with cancer, as well as other life-threatening illnesses showing its benefits and continuing promise. Holistic vet, Dr Rose DeLeva, writes that she has used intravenous Vitamin C therapy for dogs with cancer for almost 20 years with fantastic results. Not remissions, but almost always improved quality of life and often valuable extended life spans beyond prognosis. She says Vitamin C is one of the most potent biological antioxidants on the planet. This great summary of CBD and cannabis as a potential natural medicine is a beautiful explanation of its seeming medicinal value and why it is an exciting prospect in facing cancer. It notes cannabis oil can be used to treat seizures, nausea, stress, anxiety, arthritis, back pain, cancer symptoms, gastro issues, and more. Twelve year old American Staffy, Muttley, was diagnosed with terminal cancer and after chemo and 5 surgeries the vets told his humans there was nothing else they could do. In a last ditch effort his humans tried low-dose cannabis oil and were amazed and thrilled by the results. This article from the AVMA notes that many pet owners (including vets) are having success with cannabis and their dogs’ (cats’ and horses’) ailments, including cancer and related issues, and says vets need to get involved in the debate. Cannabidiol (CBD) is a non-psychoactive compound of the cannabis plant that interacts with, or rebalances, our Endocannabinoid system which, among other functions, regulates the immune system response of mammals (such as humans and dogs). This review from Medical News Today explains 16 health benefits that research suggests Moringa has for humans, including cancer and diabetes. We believe there are similar potential benefits for dogs so we think you should share it with them. We do! Every part of the tree is high in nutritive values which this study explains and talks of how moringa is used in foods to increase nutritional benefits. It also reviews the medicinal properties of the different parts of the plant. “Moringa is the most nutrient dense plant known to science”. This article explains its credentials and includes links to numerous clinical studies investigating Moringa’s potential therapeutic benefits for a range of health issues. It really is amazing! Known as The Miracle Tree, or more formally as Moringa Olefeira, moringa has been recognized by America’s very conservative National Institute of Health and the cancer establishment of Memorial Sloan-Kettering Institute as being effective in reducing tumour size and proliferation. The good folks at The Truth About Cancer explain the exciting research into curcumin in cancer treatments as well as other health issues. There is more research to do but curcumin is showing real promise in helping to alleviate cancer, pain and inflammation. Recent research has looked into mushrooms and their extracts and whether they can prevent or stop cancer, reduce treatment side effects, or increase life spans. Paul Stamets is the world’s leading mind on mushrooms, their medicinal value and our evolutionary interdependence. This talk is an extract from one of his many mind-blowing presentations of his research. Research indicates mushrooms have possible anti-cancer, antiviral, anti-inflammatory and liver protective activities. These six mushrooms are some of the most well-researched, rich in polysaccharides and beta glucans, the primary immune-enhancing constituents. Myrrh was mentioned more frequently than any other plant in Hippocrates’ medical writings and of course its known for being a gift of the Kings. The Truth About Cancer gives their view on Myrrh here. Long-term inflammation, rather than helping the body, is known to underpin many health issues including arthritis and cancer. Boswellic acid may help. Some of the earliest uses of the camel as a domesticated beast of burden were in Arabia to make overland transport of frankincense and myrrh possible. Its historic use has helped carve our modern life. My healing philosophy was to detoxify and nourish the body, strengthen her immunity, reduce inflammation and starve the cancer.